YASSSS! The Queen of Merch has struck again! 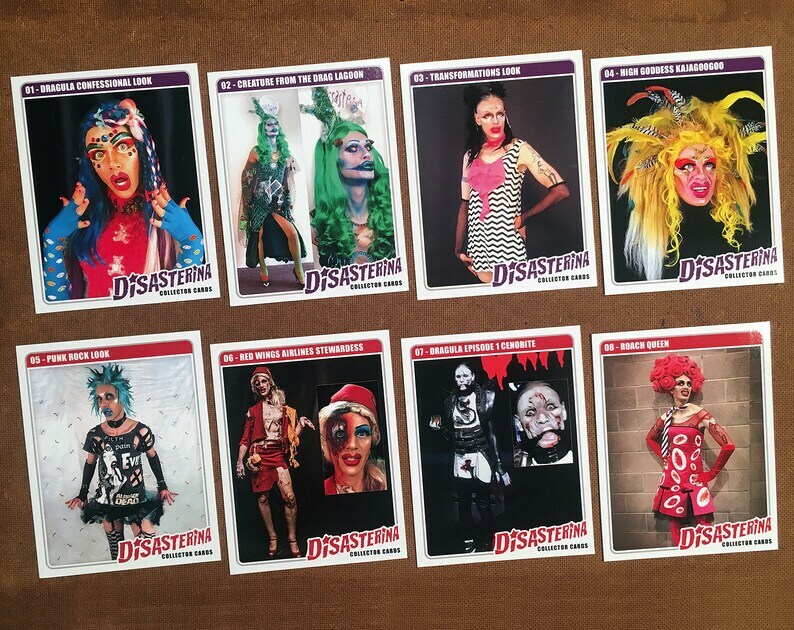 Take a look at these snazzy Disasterina Collector Cards! They just like baseball cards like when you was young (yes I know you proly was playing with Barbies but go with et)! Designed by moi! They are 4.25" x 5.5" on stiff card stock, real good printing, so phun, huh? One side has a picture of one my kewl lewks and the other has phun factual info that you gon love! This is BOTH the first AND second pack of 4! Collect them all, get in on da ground floor, boo! 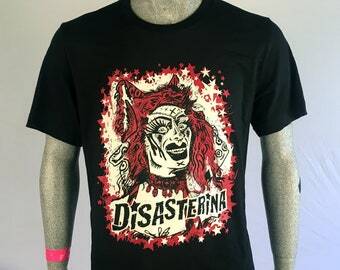 Disasterina is LA's Most Disastrous Drag Queen and the most-loved cast member of The Boulet Brothers' Dragula Season 2! Look et up! The best idea for merch going? Absolutely.